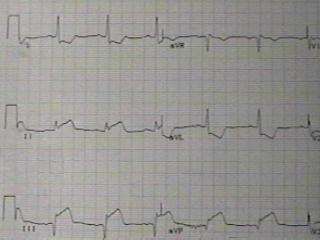 This is the case of a 69 year old female who presented to the emergency room with complaint of chest pain. She also had a positive Bezoldt-Jarrish Reflex. This is when the patient presents with: chest pain, shortness of breath, diaphoresis, and nausea/vomiting. Research has shown that a person presenting with these symptoms, have a high probability (3 out of 4) of having an MI before your very eyes.